After 32 years in Lehman Hall, the Barnard Archives’ Gabriela Mistral Collection has found a new home. This month, the Archives will donate the collection—which consists of approximately 900 books owned by Mistral, a renowned Chilean poet and Nobel laureate—to the Gabriela Mistral Museum in her hometown of Vicuña, Chile. The museum already holds 700 books from Mistral’s personal library and additional books from the estate of Doris Dana, BC ’44. Barnard is donating its volumes—many of which contain Mistral’s notes in the margins and inscriptions from the authors—to complete the Vicuña collection, in honor of the International Year of Gabriela Mistral and Chile’s bicentennial celebration. Dana originally donated these 900 books to the Archives in 1978; Mistral taught at Barnard from 1930-31 and become close with Dana when she presented a lecture here after winning the Nobel Prize in Literature in 1945. 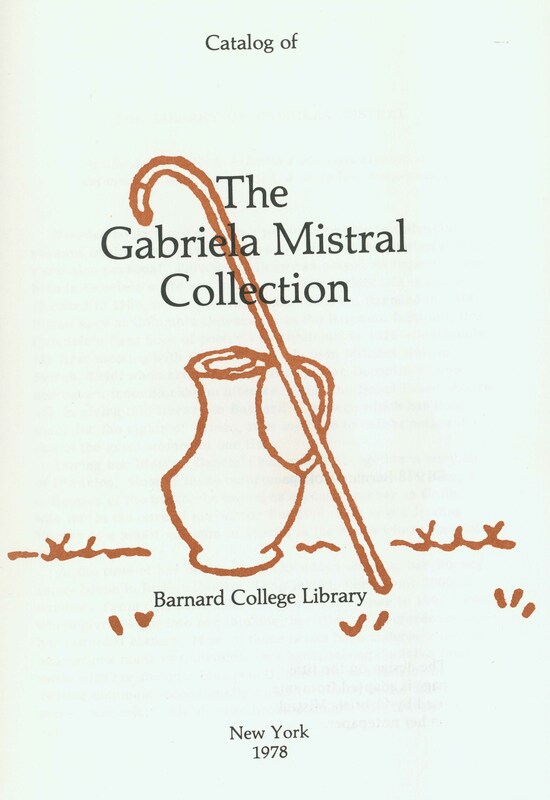 In exchange for its gift to the Vicuña museum, Barnard will receive copies of any electronic or microfilm versions of the museum’s Mistral materials that may be created, which will allow Barnard and Columbia students continued access to the books, papers, and ephemera of one of the College’s most distinguished affiliates. Among many others, the collection includes books by Austrian poet Rainer Maria Rilke; Bengali poet Rabindranath Tagore; Cuban poet José Martí; Belgian playwright, poet, and essayist Maurice Maeterlinck; American poet and essayist Ralph Waldo Emerson; and Russian novelist Fyodor Dostoevsky. Of special personal significance to Mistral were books by José Vasconcelos, Don Miguel de Unamuno, Jacques Maritain, Rubén Darío, Eduardo Frei, Victoria Ocampo, and Esther de Caceres. There are also a number of children’s books that Mistral used to teach herself English, and in which she wrote notes and made lists of new vocabulary. Scattered throughout the margins of the entire collection are fragments of poems and notes Mistral jotted down. Gabriela Mistral—a pseudonym for Lucila Godoy y Alcayaga—was born in Vicuña in 1889. She began writing poetry in earnest after her lover, railroad worker Romelio Ureta, committed suicide in 1909. In addition to teaching at Barnard, she taught Spanish literature briefly at Middlebury College and Vassar College in 1931, and at the University of Puerto Rico from 1931-33. Her second-to-last book of poetry, Lagar, was published in 1954 and included many poems inspired by another suicide in 1943, that of her 17-year-old nephew, whom she had raised with her close friend Palma Guillén. Her last book, Poema de Chile, was edited by Dana and published posthumously in 1967. The capstone on her career came in 1945, when she became the first Latin American to win the Nobel Prize in Literature. She died of pancreatic cancer in 1957 at the age of 67.